Here’s a great promo for Perrier spring water. It’s a USB powered light, and it actually does a really good job conveying the lightness and freshness of Perrier. 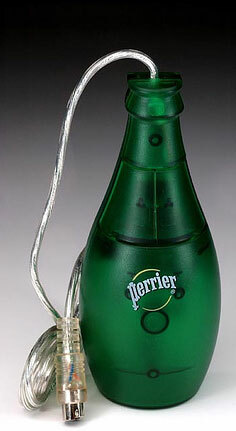 Having it custom manufactured in the distinctive shape of the Perrier bottle makes it even more effective as a promo.